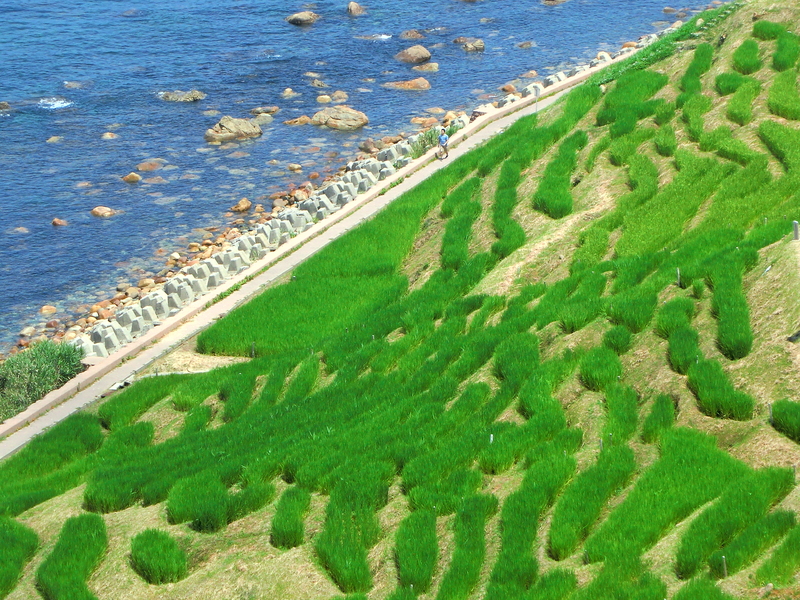 Mizuki Shigeru Road and Adachi Museum of Art | Why don't you go on a trip to Japan? I stayed in Matsue, and the next day, the fourth day of my trip, I visited Mizuki Shigeru Road in Sakaiminato, Tottori Prefecture. Mizuki Shigeru is a famous cartoonist, Gegege no Kitaro which is one of his famous work was on air in 1960’s. It is about 1 hour by bus from Matsue Bus Terminal to Sakai-minato. 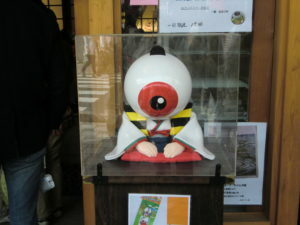 Sakai-minato is his home town and he was born here. Mizuki Shigeru Road was completed here in 1993. Sakai minato is a small seaport town. 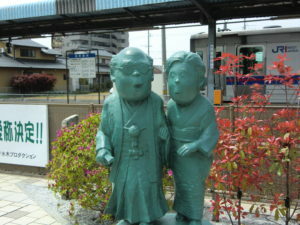 Characters in the animation were displayed at Sakaiminato Station, and the cartoon characters were drawn on the train body. On both sides of the main street lasting 800 meters, there are many souvenir shops and cafés related to Mizuki Shigeru’s cartoon. 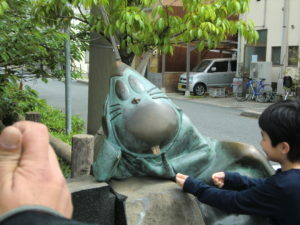 And along the street, there were bronze statues of the cartoon character. 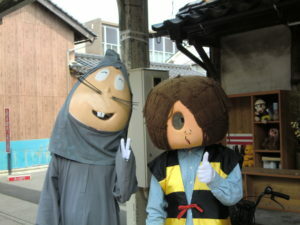 The famous cartoon is “Ge Ge Ge no Kitaro” which was on TV in the 1970s. A hobgoblin boy called Kitaro is the hero, it might have been on air in other countries. 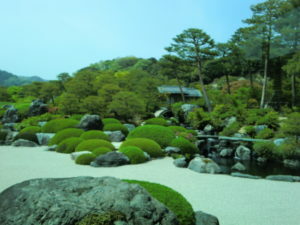 In the afternoon, I visited the Adachi Museum of Art. I took a train at Sakai-minato Station. Transferring a train at Yonago, to JR line and get off at Yasugi station. It is about 1 hour. The train runs about every 30 to 45minutes, so it would be better to check the timetable before you move. A shuttle bus from the Adachi museum of Art is available in front of Yasugi Station to the museum. 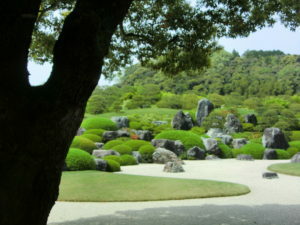 This museum has great collections of famous painter, Yokoyama Taikan about 130 works, but the garden is also famous. 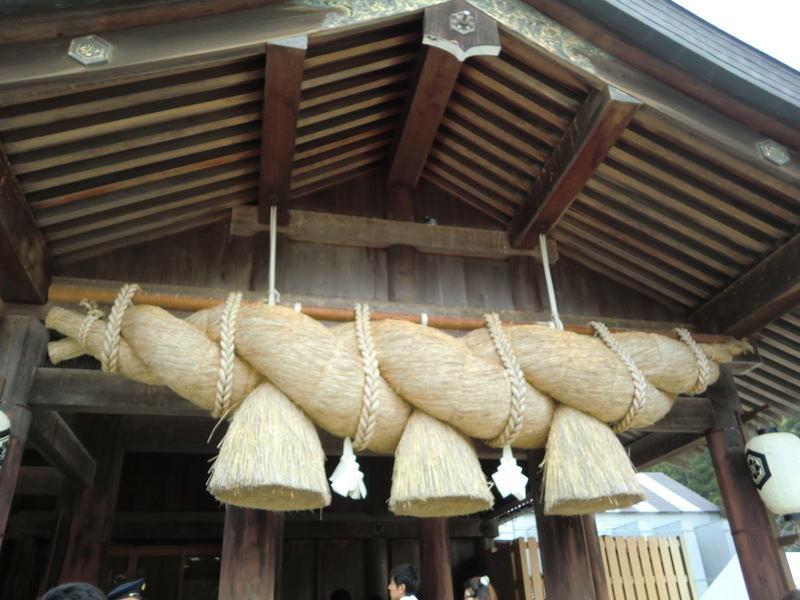 The founder of this museum is Zenko Adach. He was born in Furukawa town, now located this museum in1899. Collecting Japanese paintings that he was interested in, and was becoming known as a collector of art goods. Also, he was interested in gardening since he was young. 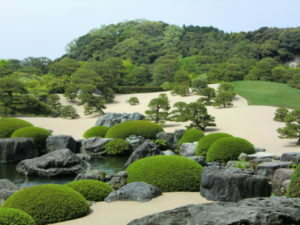 And he finally founded the Adachi Art Museum as a reminder that he would like to give back to the local people and help cultural development in Shimane prefecture. 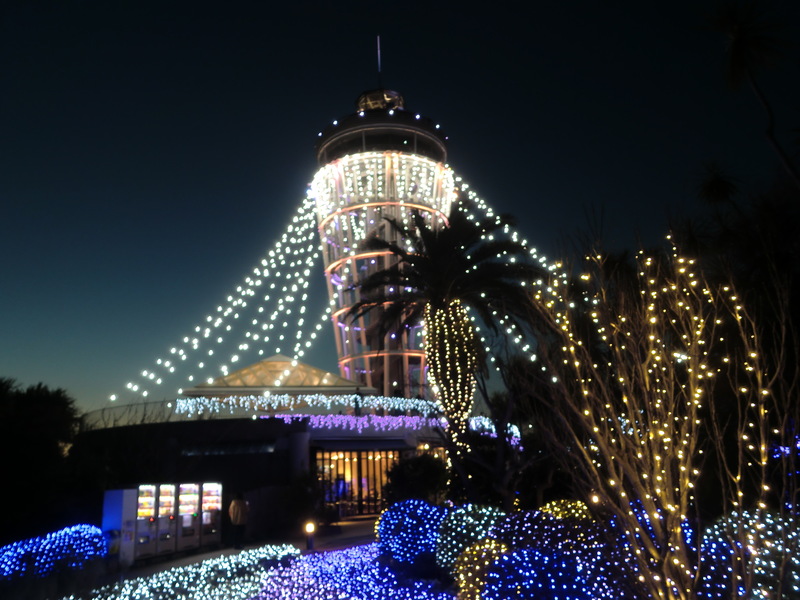 This museum is listed as a three-star site in the Michelin Green Guide Japan. 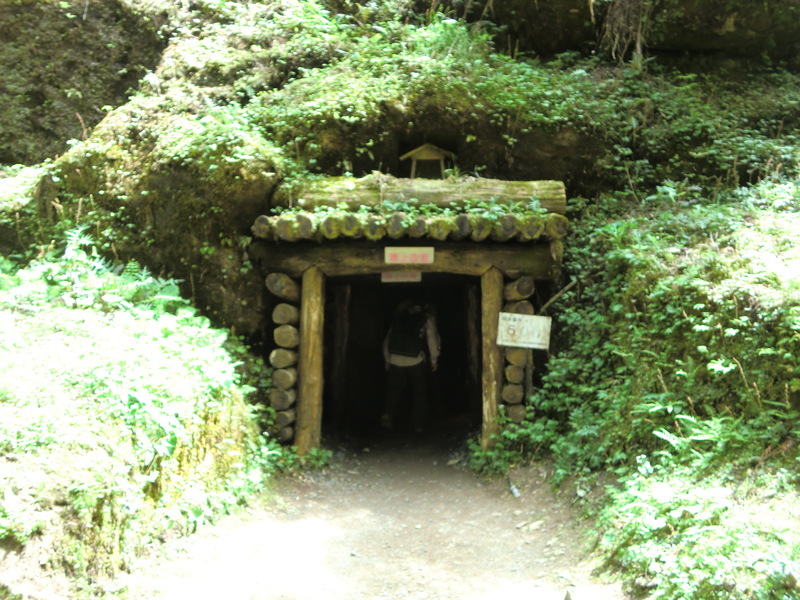 Therefore many foreigners also know this museum. Actually, I think it was a really wonderful garden. Because the museum is so spacious, I recommend taking a lot of staying time. I really enjoy staying there. 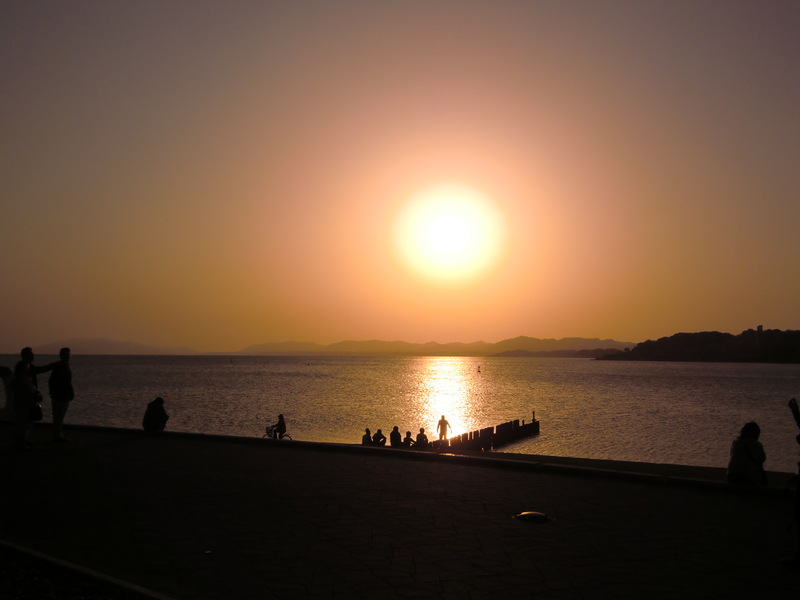 Quiet and beautiful city Matsue in Shimane Prefecture.